The experimental gameboyDS noise outfit Endless Endless Endless have a new cassingle that is being released via the Denmark-based label Skrot Up. The band is presently streaming side A from their Soundcloud account. Listen. The artwork was created using a generative algorithm we developed, made up of tiny pieces of scanned photos, and each individual side of the artwork is generated from a single track. As the algorithm plays through the song, it rotates outward, selecting and placing each piece based on the level + dynamics of the sound. 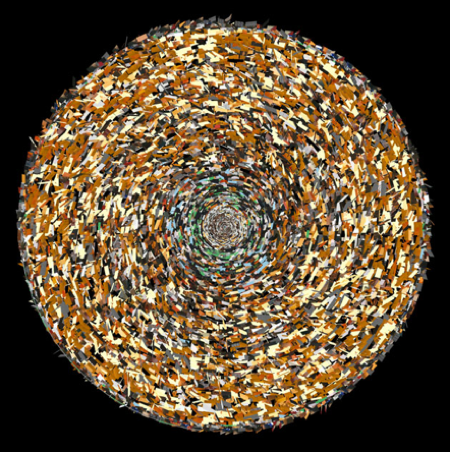 The resulting images are representations in color and texture of the song as a whole. 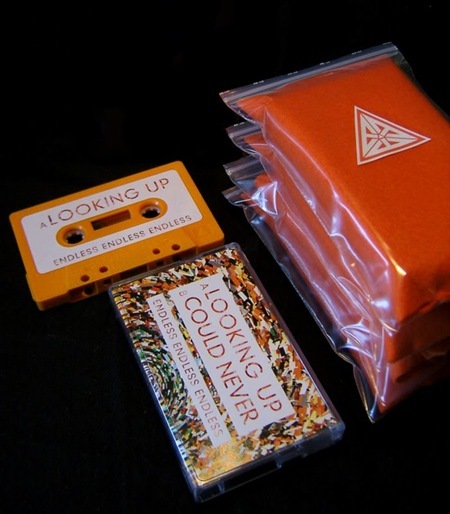 You can order the Looking Up/Could Never C20 @ Skrot Up.